In a shock announcement that will further destabilise Prime Minister Theresa May’s shaky government, Environment Secretary Michael Gove has stood down from his post to return to his previous job as an animated crime fighter. 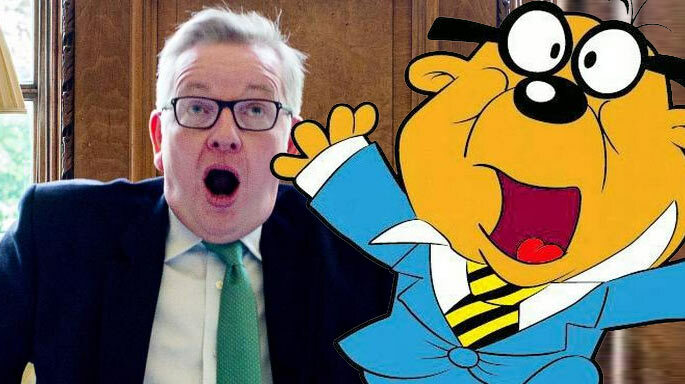 Gove, who has been the Secretary of State for the Environment since 2017, handed in his notice this morning after former colleague Danger Mouse appealed to his sense of justice. The threat of Baron Greenback prompted Danger Mouse to reassemble the dream-team of himself and Gove, his slightly nervous sidekick. Together, Danger Mouse and Gove have kept Britain safe from the threats of reptilian villains since the 1980s, something that Gove has tried in vain to do during his not brief enough time in government. Gove’s return to being an animated crime fighter has left Theresa May insisting she’s still the strong and stable option.